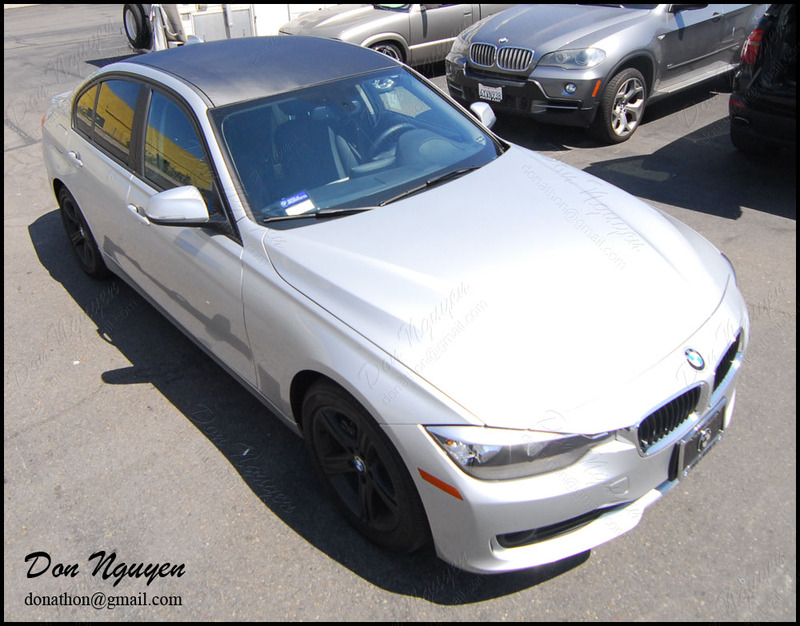 This is one of the few new BMW F30 silver 328i sedan that I have wrapped with the 3M Di-noc matte carbon fiber finish recently. As you can see, the finish/look of the cf vinyl roof changes depending on the angle that you are looking at it and how the light reflects off of it. The matte carbon roof complimented the darker colored wheels that were on the car fairly well. The pictures don't do it much justice, since I was mainly focusing on capturing an accurate portrayal of the roof vs the finish of the wheels. The owner of this car drove out to me in Anaheim Hills/Orange County to have his roof wrapped.